It’s blasting through like a flash of light. The energy of ideas and excitement is flying, ready for you to receive. But do you catch it? You can, just get quiet for a moment longer. Stay still. Stay here. It’s not coming into your mind, it’s coming through your wholeness, then your mind will make a thing about it that will or won’t make sense. Know that you are still receiving it, the energy, the flash of excitement, the ideas. Look beyond what your mind is willing to tell you and you will see it too. How is the Energy of Fear trying to support you? It feels True, maybe vulnerable. You want to share it with your community. Fear, worry, panic, judgement arise. The blood rushes through your whole body. The fear of judgment that hasn't even happened is taking over your physical experience. And nothing has even happened yet. It's amazing how we can create such a powerful physiological response, something that can move you into lock down and inaction. Do you notice how the actual THOUGHTS in your head are actually the thing that is creating this physical experience? The beautiful thing with this is that you can also use your thoughts or other tools to create a DIFFERENT experience. 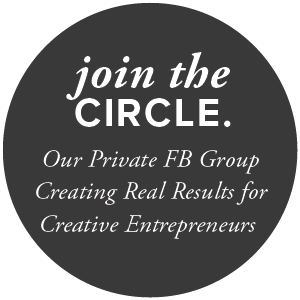 Where you can write, share, BE in a way that supports the growth of your business and keeps you feeling completely aligned, REAL, and in movement. How is this energy of fear trying to support you? Keep you in alignment and truth? There is a goodness in it. And the more you do it, be with the energy and the intensity, let it be the checks and balances, the more that same intensity will begin to shift. Ultimately allowing you to move through the experience and share your self and your message because it IS true, safe, aligned, and in greater service to your entire system than the need to protect you. The cost of HIDING is now greater than the cost of BEING SEEN. Self-doubt is running on a level deep below the surface, only to pop out and be seen when you are allowing yourself to step more fully into allowing yourself to Be Seen. The actions you take, the new beliefs you hold that are integrating in every cell in your body, are starting to shake the very foundation of this self-doubt program. It is holding on for dear life, KNOWING that it serves you in some way, begging to stay in place, slipping away when you begin to really get a sense of it. Self-doubt peeks around and asks you to look at it. See it in the eyes. Hold it in your hands. Offer it love, acceptance, appreciation, and compassion. There are so many ways it has served you throughout your life. Keeping you from shining the bright light on your greatness to keep you safe, belonging and being loved. Keeping your greatness from truly being seen served you before, but now it is time that you can’t keep that hidden any longer. It is time to shed the masks, to release the layers of untruths, to just BE who you are – without apology, without exception. And even then, self-doubt will peek back out again and check – are you sure? Are you sure you are safe? Are you sure I can’t still help you? And just like a child who is getting ready to experience something new and exciting – they may cling to your leg and then pull away, only to come back to check in with you again. But this part of you knows that it is time. You are ready to “risk” being the fullest expression of yourself – because everything else is just another way of fighting against yourself, keeping parts of yourself hidden – and truly that’s just so much more work. So you choose THIS version of “ease”. The one that still feels new and not completely settled - and not so easy. But THIS version is the one that is ready to BE SEEN. Let's upgrade your system to acclimate to a new level of impact and receiving! Want to be more VISIBLE - to create more Influence and Impact? I know you know that taking action is important. And NOT taking action is also important! There are times when stillness, silence, and sitting is what creates the next burst of insight, creativity, and inspiration. If you are always moving, you miss the truth, the deeper knowing, the ease. The consistent action keeps you ABOVE, keeps your head in the clouds in a way that keeps you "safe" from connecting to the "reality". But that constant level of stress and anxiety in your system is actually doing more harm than turning up your Brave-o-meter and taking a look. So the REALITY is that the more connected you are to your truth, the more VISIBLE you will be. Visible where the quality of busy actions isn't meaninful or impactful but where the truth of your essence shines so bright it can't NOT be seen. So yes, be more visible. Shine your light and illuminate your truth. And let it be seen by all who will be impacted. Don't just take more Actions. to BE WITNESSED in all it's greatness. Join me for the FREE 5 Day Visibility Expansion Experience to upgrade your system & experience more visibility and impact! What does it actually mean to be successful? Is it a certain amount of money? A certain number of clients? A certain amount of "busy"ness? And it doesn't matter what anyone else "thinks", REALLY. Can we be done with all this? Disconnection from what's true - for YOU. What do YOU actually want to experience? I invite you to pull all of your seeking, trying, people pleasing energy back into your center. Invite it all in - even the sticky parts. Give it as much time as it needs to find its way back. Now, from here, what do YOU actually WANT to be experiencing? Can that be YOUR definition of success? For today, this week, this year. This actually is all about YOU, so let's let everyone else have their own experience. AND EVEN THAT IS ALL AN ILLUSION. What will it take for me to choose? And my brain can see the safety. What will it really take? I have to CHOOSE it. And what I ride of grounded, support and ease that is carrying me. Oh such a tricky pattern that can keep me from RECEIVING. Isn't it time to stop playing the "I'll smash myself down to make it ok for you" game? What if you leaned toward your bigness? What if you amplified your greatness? What if you activated your gifts even more? Yep, some people might not be able to handle it, and some may not even be able to see you anymore. And those who are meant to see you for who you are will be able to see you, hear you, connect with you in a way that feels so much lighter, simpler, and true. It's exhausting holding it in. And, it's not an invitation to let your Ego run wild all over everyone. It is an invitation to shine brighter from the light in you, your truth, your essence, your greatness. People who need you to be smaller so they can be ok are not in your highest and best good. And you are not serving them in being their highest self by pretending to be something your not. Sure, you're still working through your stuff. And you probably always will be in some fashion, as that's the rapid path of expansion you are riding, right? And THAT doesn't mean you have to "hold it in" until... some point not yet defined. This isn't an intellectual process, it's an energetic upgrade. This is one of the energetic patterns of (in)visibility that shows up for people here to create their great change in the world. Do you want support on this path? Message me and let's take a look at what's available. And you witness the formerly confident, capable, get it done person begins to feel the uncertainty, the doubt - the process of bringing YOUR OWN WORK into the world. But what about the actual LABOR and BIRTHING of your creation, your work, your purpose into the world? When you receive a knowing, information, a creation, and NO ONE has done it before, then what? Somehow that brings up all the places where you are not yet embodying your greatness. And - for many connected entrepreneurs who are moving through this process now - it also means a melting away of the "way" you used to "get stuff done" and a somewhat painful process of "allowing" the work or the creation to come into being. Somehow we have to get our "type A, overachiever, make it happen" selves out of the way to LET the goodness come in - without "having to" DO ALL THE THINGS. The way you used to create lists, have tasks, have timelines, and deadlines - have a strong need to fade away. I hear you. I've been through this too - and am even choosing to continue the evolution. Re-learning how to be in your business, how to DO (and NOT do) your business. It was painful - challenging. and when I stopped the fight, there was an ease about it I hadn't yet known. And it was hard! Not easy! Re-learning, un-learning, un-doing, finding a way into BEING - that is some of the hardest work to do. And when you choose that, when you choose to set down the fight, and move toward it like a conveyor belt bringing you down the aisle with all the goodies just for you, it's actually pretty amazing too! Again, not easy. And also, there's a way we can choose "not hard". But people aren't talking about this part. There are successful, "get it done" entrepreneurs who have melted the old, to let it all go, to step into something even bigger, even greater. Greater because it is even more aligned to the thing they are here to do. It just doesn't always look like that when you are IN IT. So in all of this, please know, you are not alone. This is what is being called for next. And ask for support if you feel that too. Doing my own looking at what is and isn't true. Being willing to BE in the in-between. Being willing to not yet KNOW what comes next and when. And receiving support from people that are are not attached to THE WAY - and open to the fact that you are birthing YOUR WAY - and no one has done that YET! If you are feeling some relief thinking about this kind of support moving through this next layer of your work coming now, send me an email and let's see what's available next for you. This is available to you as a CREATOR when you know that the thing you DON'T SEE for yourself is the thing that will allow you to step into the next level and release the pieces that are holding you back - even if you can't name it. This is beyond the actions, the lists, the brainstorms. When you know that YOU are the creator of your experience - and you know there are other factors impacting your next level of success, it's time. It's time to work the crunchy places, to work the energetics, to do your personal work - because ultimately that is the thing that creates what you experience next. So let's see, send me an emaill and let's connect. And we can see what is the right thing to meet you and your next creative EVOLUTION. BEING SEEN is not just a setting of ON and OFF. Who you are and how much of yourself you let BE SEEN may vary in different groups, with different people, in different settings. The more we release the need or desire for it to be done or complete. The more we are available to move through what is available for you in each moment. Are you open and curious to moving through the next layer of invisibility - no matter how that may be presenting itself - so just a bit more of YOU can truly BE SEEN? ✨✨Would you like support with this? Your next client, speaking opportunity, Up Level, Elevation, is available to you NOW. So I'm feeling into the word BOLD. It feels different to me now. There's a difference. There's the BOLD that comes from a sense of pushing, stretching, trying too hard, where ego is the main connection and driver. ...But you can't NOT do it. This is where Being Bold is who you are, how you are called and inspired to show up. You don't have to TRY to do it. It's actually the TRYING NOT TO DO IT is where you catch yourself - in this Boldness - taming it, quieting it, tucking it in. Thats where this "work" takes place. It's actually easier to BE BOLD in this way than it is to CONTAIN the boldness. Can you CONNECT to that version of BOLD? The one where your mind has to STEP OUT OF THE WAY - instead of TRYING to LEAD the way. Yes, there. Let's play there for awhile. What does it mean to be more VISIBLE? Yep, these are some of the things it may mean to you. Well, it's not someone telling you "do this and that and this and that" and WA POW💥 you have success, you are more visible. Instead it's about clearing the way so you ARE more visible. ✨Restoring your power that you gave away (consciously or not), causing you to shrink down and go off the radar. ✨Removing the invisibility curtain (or learning how to use it as a super power) so people can see you and receive what you are already putting out there. ✨Upgrading who you are being and creating alignment with your message, your offers, and your pricing. ✨Creating safety in your system so you can "let yourself" be seen without feeling the deep desire to run and hide. There are some pieces that are universal and there are others unique to you. Would you like to have a better understanding of these invisible influences impacting this next level of success for you? Send me a PM and I'll add you to the wait list for my next complimentary Visibility Expansion session, where I do a read of your energetic system to discover how it's set up now and what's available next. Where are you hiding from your dreams? Are you willing to take a stand for receiving what you say you want? Will you claim it for yourself? Will you let it find you - all the way? Will you stop hiding from yourself? Are you ready to BE SEEN NOW - for you, your business, your dreams? Send me a PM and let's take a look at what's keeping you and your business from being seen now - at this level. Do YOU feel like you are truly BEING SEEN in YOUR business? I have been speaking with some AMAZING women these last few weeks. Women who are industry changers, leaders, visionaries, people with a big mission and a desire to create a big impact! And the thing that showed up again and again is that they are somehow keeping themselves from really putting their work and themselves out there to be seen by their ideal clients - at this next level. Most of these women are not people who are just starting out - they have an offer, an ideal client, pricing, and CLIENTS! We are always experiencing an upper spiral of development as a business owner, creator, leader, and visionary. We may move through a challenge only to meet it again in a new way in the future. We can think there is something wrong, or feel like we are starting over, but the reality is that we are just working through a new layer of our development. The feelings of doubt, uncertainty, playing smaller than they desire are all normal and part of the restructuring in our system - acclimating to our next level of EXPANSION. One of my clients has created a very successful practice - when we started working together she was charging a very low hourly rate and eventually increased her rates substantially to a higher end offer and with a steady flow of clients. Then, she went through a phase where she didn't have the same kind of flow happening - and she really wanted the flow. You know what that's like, right? I mean she REALLY WANTED the flow. So, when we looked at her system, we discovered she was holding a belief and an experience that more clients meant more overwhelm, more sickness, and more stress. So of course she wasn't bringing in more clients like she was before. She had cleverly outwitted herself by creating a solution to the problem - it just wasn't the solution she actually wanted to be experiencing. So instead, we created an upgrade in her system so she could experience ease and peace and have more clients. AND without DOING a bunch of new things she created a handful of new clients all paying her in full! She shifted the INSIDE STORY - both in her beliefs and her energetic set-up so she could experience what she actually wanted. She had to be in a place where all the parts of her were on board with creating new clients - otherwise it felt like a system melt down. So, when you want to create more visibility in your business - of course you want to take the external actions so people know you are there and begin to develop a relationship with you. However, if you haven't also aligned your INSIDE STORY to really wanting to BE SEEN people will not resonate with your message or take action in the same way. If you are not taking the actions and don't know how to move forward, that's one thing, but when you are taking the actions and you have created income in your business - even at great amounts - and then you don't, you know something is off. Either way, whatever your situation or story is, the best way to increase the amount of flow in your business is to Expand Your Visibility (and really mean it). In order to change things up you have to be willing to do something different - and I mean pretty different. This doesn't have to mean "follow this 4 step system" that is totally not aligned to who you are or the essence of your business. What this means is that it's time to shift the INSIDE STORY so you can get back to taking the actions OR take the actions and REALLY want to experience a different result. To Expand Your Visibility, we will work with the practical strategies & invisible influences to boost your visibility as a leader in your industry and increase your results. We will spend 60-90 minutes together for this Visibility Activation Experience, and one 30 minute follow up call. There are 5 spots available for this Visibility Activation Experience working with me 1-1. The investment for this experience is $350. This is the ONLY way to work with me 1-1 at this low investment and it is a fraction of my standard rate. And I'm very excited to share this unique experience and committed to help you bring your greatness out into the world in a bigger way! In addition, we will work with your energetic system and beliefs and do clearings and upgrades so you can boost your visibility in your business and in your presence. This is for you if you are ready to take your business to the next level - whether you are still in the start-up phase or you have already created a level of success and are ready to acclimate to the next level. If you book your Visibility Activation call with me in the next 24 hours you receive a $100 savings, receiving this experience for just $250 - and you will receive a 6-minute Daily Energy Practice you can listen to every day to continue to deepen into this experience. If you are ready to Expand Your Visibility and claim one of these Visibility Activation Experiences, Email me and we will follow up with the details to claim your spot! Here's to your Visibility Expansion! P.S. If you want to skip to the details, just connect with me Here to claim your Visibility Activation Experience - a 1-1 program to work with me to create more visibility, expansion, and impact in your business! Just $350, and if you book in the next 24 hours you receive additional bonuses and a $100 savings! Without an adversary or a problem to "fix", do we lose our ability to fight? To fight for something different? To take a stand and create something better? What I am noticing and witnessing with these amazing, connected, world changing clients I have the honor to support on their path, is that have something even more than a fight. Something stronger that pulls them forward. A commitment to experience and create Conscious Excellence. They choose to experience greatness all around them. They choose to experience their greatness in every area of their lives - and then get curious as to how it can delight them even more. Not because they aren't grateful, or appreciative. But because they are committed to life unfolding with surprise and delight. They are committed to their greatness. They are committed to themselves. They KNOW that when they take the next step on their path, the people and experiences around them also have the opportunity to uplevel to meet them. And they are creating Conscious Excellence. When your actions aren't creating the results you desire it's time to look deeper - not somewhere else. There is another layer available for your Mastery. Not more things to do. A more congruent, fully expressed, way to BE. Action from THAT place creates different results. Adjust your internal compass and align with a new set of results. Are you ready to develop your next level of Mastery and Expand your possibility - and your results? The Expansion Experience is a powerful experience designed to support you to experience more of your kind of success - in your business, in your money, and in your relationships. Do you hold an energy of invisibility? Do you take aligned action but not see a comparable return? If you are ready, I invite you to join me in the Expansion Experience. This is where you become more of YOU. Not because of me, but because of you. Yes, I will share things with you. Yes, you will develop new discoveries about yourself, new insights, new learnings, new practices. And those will come from you and from me as a way of stepping back into you as your teacher. I will support you to peel away the layers of the things that are keeping you from seeing your own truth. Not because I KNOW your truth. But because this is the part I do. I peel away the layers to reveal the truth. Will you join me? Will you walk this path with me? The path where we each become more of ourselves. The path where we each discover more of our greatness and bring THAT into the world in a bigger, brighter, more powerful and impactful way. Are you feeling "in between"? Are you feeling "in between"? Perhaps the way you were before (or who you were before) is not how or who you are now? AND at the same time the "new" version hasn't quite come into focus or clarity? Instead of resisting it or trying to analyze the meaning, I invite you to invite in the discomfort. Welcome it. Cozy up with it. See it as an old friend. It has been here before, it will be here again. When you move into a space of curiosity and observation you will move through this experience with more grace and ease. An experience that creates fear. A number in your bank account. A part of your body. The energy you experience that feels like discomfort in your body, that's the thing you get to practice being with. When we reclaim the part of ourselves that is bad or wrong or unsafe around that experience we come back into the truth that we are whole. We are reclaiming a part of ourselves that we had banished, discarded, or shut down. BE WITH the experience that creates this discomfort. Practice being with it in your own body, your own energy, and emotions. No need to change it. Simply being with it is enough to remember that you are enough. Even if your mind doesn't remember, the rest of your system will begin to reorganize in this remembering. You’re not a follower, you never have been, so step back into your innovator/leader role and change it up! Only YOU can be the one to bring your work into the world in a way that is aligned for you. And anyone that is “telling you” or “showing you” HOW to do it – instead of connecting you back to what is your truth, peeling back the layers so you can see it clearly, is actually doing you a disservice.